You’re reading novel Chaotic Sword God Chapter 895: A Startling Secret online at LightNovelFree.com. Please use the follow button to get notification about the latest chapter next time when you visit LightNovelFree.com. Use F11 button to read novel in full-screen(PC only). Drop by anytime you want to read free – fast – latest novel. It’s great if you could leave a comment, share your opinion about the new chapters, new novel with others on the internet. We’ll do our best to bring you the finest, latest novel everyday. Enjoy! Lei Batian flew with Jian Chen and Xie w.a.n.g as he carried a medallion in his hand, directly entering the floating palace. The palace was extremely large. It had thousands of pavilions and buildings, while various exotic species of flowers and herbs grew in the surroundings. They exuded a fragrance that permeated the entire place. A single whiff could refresh the minds and souls of people, allowing them to concentrate and focus. Jian Chen and Xie w.a.n.g traveled through the various halls with Lei Batian, Qing Yixuan, Ou Yun, and Mo Ziran accompanying them. They directly went into the very depths of the palace, coming across squadrons of guards in similar uniforms that patrolled the hallways. Jian Chen could even feel the existence of many experts in the surroundings. Saint Rulers were everywhere and there were even quite a few Saint Kings. They were all cultivating in their personal halls. Jian Chen constantly paid attention to the blue and green marble floor as he walked and would look around at the surrounding structures from time to time as well. Deep shock could be seen in his eyes. Just through his powerful presence, he could clearly feel a terrifyingly powerful energy hidden within the structures and the floor everywhere. This powerful energy constantly refined every inch of the place, causing all the structures to be extraordinarily tough after countless years. It was likely that even if Jian Chen used all his strength, he would only be able to leave a small mark. “Correct. They are the people who the hall master is looking for,” replied Lei Batian. He would glance toward the two of them from time to time, curious about why the hall master treated them with so much importance. “Esteemed hall elder, I am Jian Chen.” Jian Chen clasped his hands at the old man after taking a step forward. Jian Chen was extremely polite. If the old man before him was placed on the Tian Yuan Continent, he would be a terrifying expert. He would be one of the very few who stood at the very top, even on the continent. “Come in with me, Jian Chen. 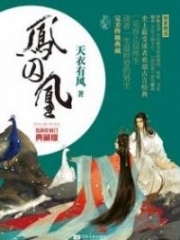 The hall master wants to see you personally,” the old man said to Jian Chen indifferently. Afterward, he turned around and left. With his lofty status, he would not be inclined to waste his words on two puny Saint Rulers. “Jian Chen, you better go in with the hall elder. Remember, the hall master is a Saint Emperor. You need to be respectful when you see her.” Lei Batian sent a mental message to Jian Chen. Jian Chen nodded slightly before following the hall elder silently. The only people left were Xie w.a.n.g and Lei Batian’s group, who stood there blankly as they watched Jian Chen grow further away. Jian Chen followed the hall elder and reached the very depths of the hall without any obstructions. Afterward, they entered a beautifully decorated hall. There were two Saint Rulers who stood dead-straight on the two side of the entrance as guards. They were like sculptures. “They’re actually using Saint Rulers as door guards. What extravagancy.” Jian Chen was secretly astonished. Outside, all of these people were supreme experts that could lord over a small region. The huge hall was rather empty; there was only an elegant woman on the throne up ahead. “Elder Hong, you can go.” The woman’s voice was very soft, making it extremely pleasant to hear. “Yes!” the hall elder slowly backed away. “Is this the hall master of the Sea G.o.ddess Hall, one of the three supreme Saint Emperors of the sea realm?” Jian Chen gazed at the woman in interest. The lady wore azure clothes that wrapped around her slender figure, while her blue hair ran down her shoulders very casually without any specific grooming. Her face was blurry and obscure; it seemed like it had been covered up by a layer of mist. Even though he currently faced a Saint Emperor, Jian Chen felt no particular presence from her. She seemed just like an ordinary person. “Junior Jian Chen greets the esteemed hall master.” Jian Chen clasped his hands toward the lady as he quickly dismissed his thoughts. Boom! With a m.u.f.fled sound from behind, the doors to the hall had been closed. It cut off all presences and objects from the outside; there were only Jian Chen and the hall master in the large hall now. The hall master stood up from her throne and slowly walked toward Jian Chen with gentle steps. A faint, enchanting fragrance entered Jian Chen’s nose. Jian Chen struggled to keep calm as he was so close to a Saint Emperor. His heart began to beat rapidly, clearly rather anxious. “You’re the person chosen by her majesty,” the hall master said with a soft, lively voice. She seemed to be talking to Jian Chen but murmuring to herself at the same time. “I can’t actually sense the presence of the Abyssal Crystal from your s.p.a.ce Ring. Where did you put it?” The hall master continued before Jian Chen even had the chance to reply. “Junior has a doubt. Just what is this Abyssal Crystal? I wonder if the hall master can help answer this question,” Jian Chen asked. This mysterious key was actually enough to cause the Heaven’s Spirit Hall and the Serpent G.o.d Hall to fight over it, which made him feel extremely curious about the origins and uses of the key. “Her majesty reached the end of her life and locked herself in her supreme divine hall. Afterward, she moved the divine hall into the depths of the Sea of Despair, where it currently floats about. No one is able to find its whereabouts. However, the key is able to lead people to it. As long as someone possesses the key, they’ll be able to find the divine hall.” The hall master hid nothing and told Jian Chen the truth. “Is that so? No wonder the Serpent G.o.d Hall and Heaven’s Spirit Hall were fighting over this. So they wanted to enter the divine hall and inherit the sea G.o.ddess’ legacy,” Jian Chen murmured as he understood some things. “No, they don’t want her majesty’s legacy when they enter the divine hall. Her majesty may have reached the end of her life but all she lost was her body. Her soul remains, which has always stayed within the divine hall. The Heaven’s Spirit Hall and Serpent G.o.d Hall were fighting over the key as they wanted to go in there and take her majesty’s spirit. They want to devour it and reach her level of cultivation from all those years ago.” The hall master revealed a shocking truth and stunned Jian Chen. “What!? 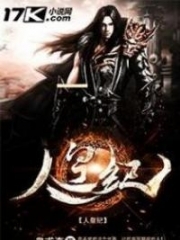 The two halls want to devour the sea G.o.ddess’ soul?” Jian Chen cried out involuntarily. He was filled with utter disbelief. The sea G.o.ddess was the G.o.ddess of the Sea race. She was a respected champion, yet her people wanted to do such things to her. Jian Chen slowly digested this information as he thought in silence. What he heard from the hall master had completely overturned everything he knew about the current situation of the sea realm. He had once learned from Tian Jian that the sea G.o.ddess was not dead. At that time, he still believed that the sea G.o.ddess possessed her full strength and was currently the most powerful existence in the world, completely surpa.s.sing Saint Emperor. But the truth completely exceeded his expectations. The sea G.o.ddess was not dead but she had lost her body. She existed as a soul, only able to hide in the divine hall. She could not leave, constantly faced with the threat that the hall masters of the Heaven’s Spirit Hall and the Serpent G.o.d Hall would devour her. The hall master paused and turned toward Jian Chen. Although he could not see her face, he could clearly feel a sharp gaze focused tightly on him. It made his eyes hurt as if they were stabbed with needles. “Jian Chen, the Serpent G.o.d Hall and the Heaven’s Spirit Hall may have ill intentions for her majesty but we, the Sea G.o.ddess Hall, remains loyal to her majesty. For her majesty’s safety, you need to hand over the Abyssal Crystal and temporarily place it in my personal care,” said the hall master. Jian Chen hesitated slightly. However, he knew that he had no other choice, so he handed the mysterious key over to the hall master straightforwardly. “Jian Chen, you may not be a member of the Sea race but you’ve been chosen by her majesty. You’ve also been gifted the neidan from a member of the imperial clan to mask your presence. Just stay in the hall in the future and devote yourself to cultivation. Power up as fast as you can. I’ll gift you a hall elder’s medallion. In the future, you can enjoy the same treatment as hall elders among the Sea G.o.ddess Hall,” said the hall master. “If junior became a hall elder, junior will no longer be able to enter the territory of the Serpent G.o.d Hall and the Heaven’s Spirit Hall, right?” asked Jian Chen. “Correct. We three halls have an agreement. Without permission, the people of the halls cannot leave their own territory. “If that’s the case, then junior will not be taking the medallion,” Jian Chen flatly declined the position as a hall elder. Compared to the golden silkmail, the name and status of a hall elder was nothing. He would take back the golden silkmail from the divine general one day in the future. You're reading novel Chaotic Sword God Chapter 895: A Startling Secret online at LightNovelFree.com. You can use the follow function to bookmark your favorite novel ( Only for registered users ). If you find any errors ( broken links, can't load photos, etc.. ), Please let us know so we can fix it as soon as possible. And when you start a conversation or debate about a certain topic with other people, please do not offend them just because you don't like their opinions. You're reading Chaotic Sword God Chapter 895: A Startling Secret. This novel has been translated by Updating. 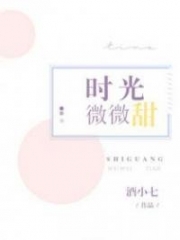 Author: Xin Xing Xiao Yao already has 8175 views. Current Time is Apr-18-2019 18:47:07 PM.